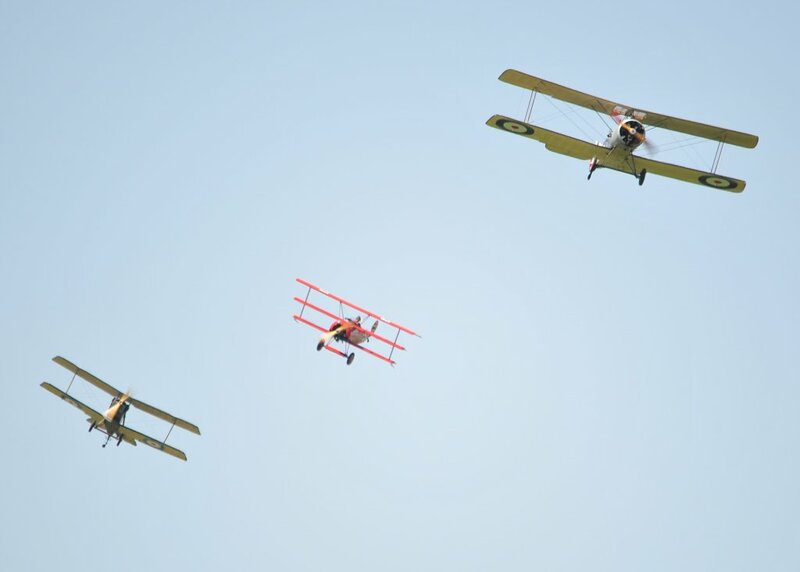 WW1 dogfight at the show leads to mishap. 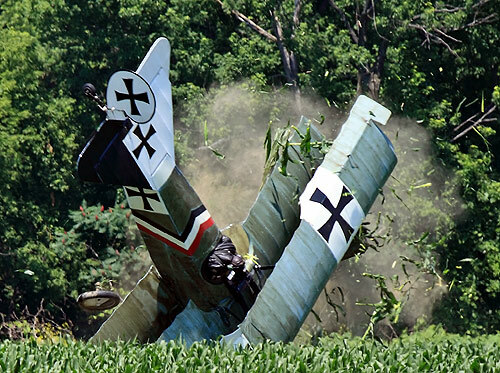 The German tri-wing dipped to low and caught the top of the corn in his landing gear and slowed his air speed. 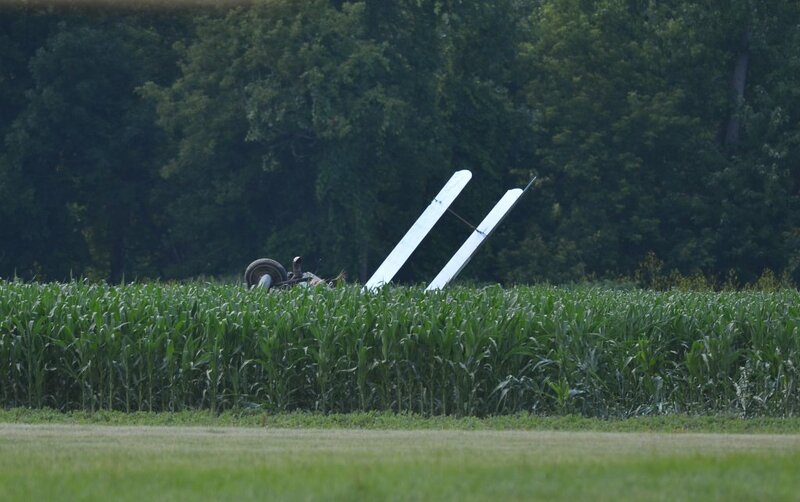 Pilot walked away from the crash. How appropriate-in a cornfield! 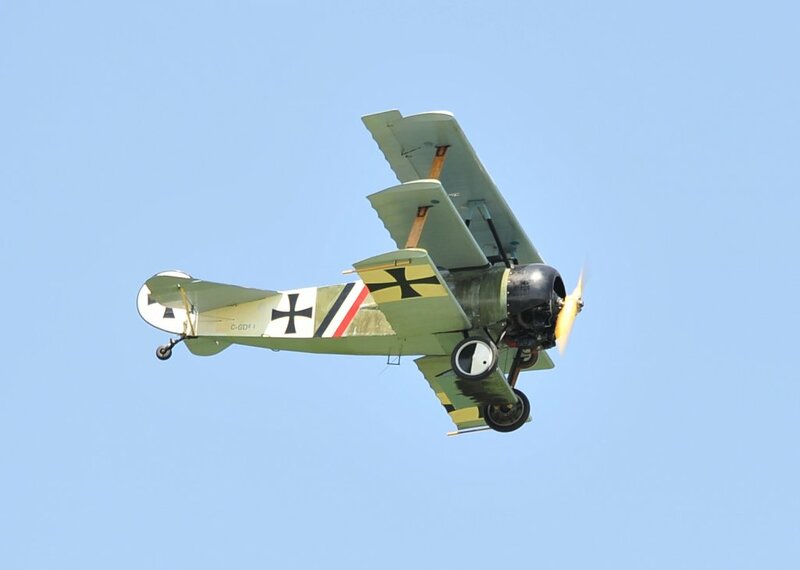 The Fokker claims another victory. Great shot of a great loss. Looks more like a bi-plane than a tri-wing. Also looking at the planes I dont see one with that rod sticking out the end of the top wing. Are you sure which plane hit the ground? Iam reasonably sure. This pic was snapped by a friend at the moment of impact. Great capture...tragic loss of the aircraft, but glad the pilot was OK! Pilot was okay. He staggered out of the corn waving and crowd cheered. Unfortunatly I had a different plane in my viewfinder when I heard the gasps....by the time I snapped off a couple of him, he was already in the dirt. This final pic by a friend is the only one Ive seen out there at the moment of impact. 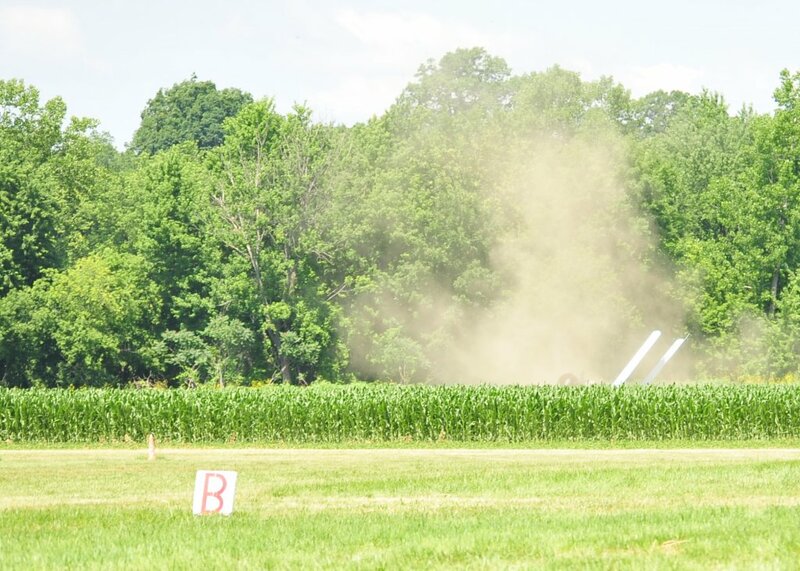 The German tri-wing dipped to low and caught the top of the corn in his landing gear and slowed his air speed. There are bold pilots and old pilots but no bold, old pilots.